Camp Quinebarge has a long history of being the best summer camp for international campers looking for the traditional American camp experience. Since our founding in 1936, we have hosted staff and campers from 6 of the 7 continents, many of whom return summer after summer. We intentionally create an inclusive environment, and celebrate the diverse backgrounds of our Quinebarge family. For international campers, Quinebarge is a cultural experience like no other. Depending on their session of attendance, campers participate in Fourth of July celebrations, trips to local attractions and natural landmarks, and more. 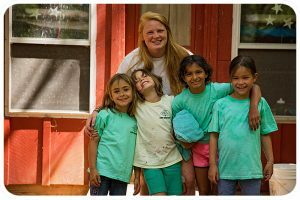 They will form everlasting friendships that cross borders and languages, make memories that will last a lifetime, and find a second home in Quinebarge, while sharing their language, culture, and experiences with their fellow campers. Here at Quinebarge, we understand that English language development is often an important goal for international campers during their stay. 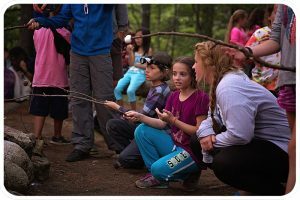 Our friendly, inclusive staff encourage campers to speak in English, and patiently work with campers who may have trouble communicating. 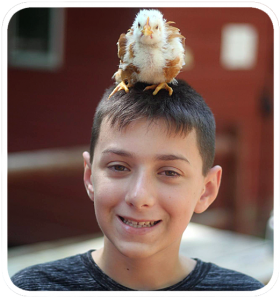 Because of the immersion in English, campers go home with improved confidence, comprehension, and speaking skills. New in 2018, campers will be able to sign up for ESL (English as a Second Language) instruction when they register. Every week, campers write at least one letter home. To ensure that international campers can send mail in a timely manner, we scan and email letters for our international campers. If parents wish to email in return, we print emailed letters and hand them out to recipients at mail time each day. Doing so allows our international campers to retain a connection with home and family while they are away at camp. 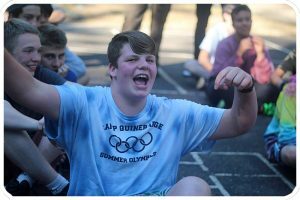 For international campers staying for more than one session, Quinebarge will arrange a phone or skype call every other weekend in lieu of a family visit. Quinebarge offers convenient and reliable transportation to and from Manchester-Boston Regional Airport (MHT) and Boston Logan International Airport (BOS). International and American campers alike are met at their gate or outside of customs by our welcoming and uniformed camp counselors, who assist campers with luggage, provide a bite to eat, and accompany campers to Quinebarge in our comfortable vehicles. Staff report back to camp once campers are in their care, and our office staff notify parents. We also offer linens rentals for campers who do not wish to pack sheets, towels, pillows, and blankets, along with travel packages that include airport transportation, linens, and a toiletry kit. Please see our rates and dates page for more information on transportation and linens.